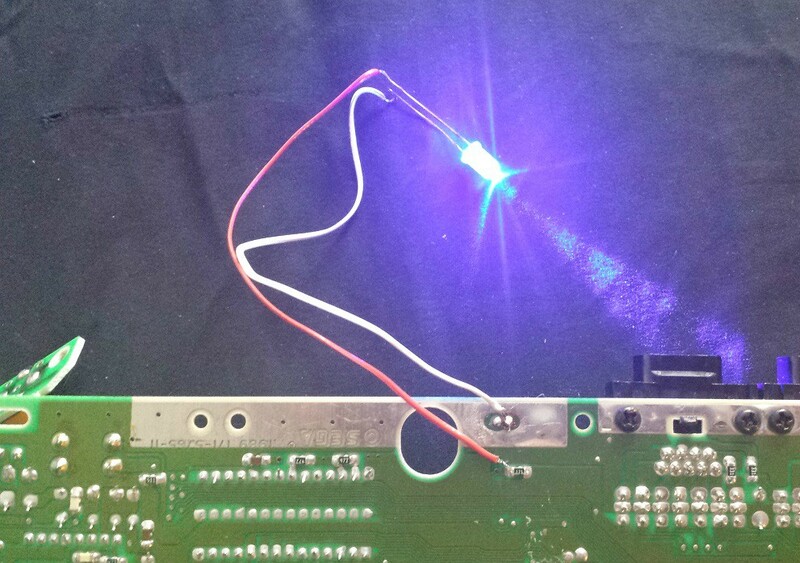 This repair guide wil give a walk through on how to replace the power LED in a Sega Genesis. Remove plastic "Power / On" cover by pushing tabs together. Pull "Power / On" cover away from the console cover. From the outside of the top cover, remove LED. Re-insert "Power / On" cover until it clicks into place. My LED won't turn on when I turn on the machine though when I took it out and touched it on a battery it lit up. Did I put it back in wrong or what? Long leg on the LED goes to the red wire. Short leg to the white wire. If that's not the case, you may have burned the LED or the spot doesn't work anymore. Last attempt would be getting your +V5 from the resistor below as shown in this image. The model I am trying to change the led on is the 1601 HD graphics Genesis. The problem I have is there are NO simple easy press tabs to pop off the red ring. What is the correct way to remove the LED on this model? Thank you for your time.